A leader in the firm, Marilou serves as co-chair of the Life Sciences Practice. 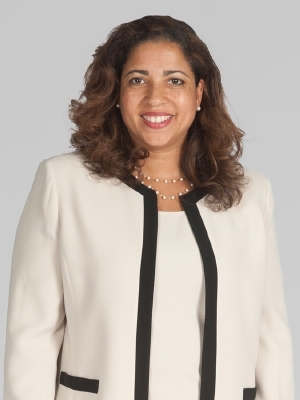 Additionally, she previously served as co-chair of the firm's Diversity Committee, where she assisted in spearheading initiatives that promoted firm-wide diversity and inclusiveness. Prior to joining Fox, Marilou was a partner at Synnestvedt and Lechner, LLP, where she was chair of the Pharmaceutical Practice Group. She was also previously Assistant Intellectual Property Counsel at Elan Drug Delivery, Inc.
Marilou has been a registered pharmacist since 1991 with a focus on advanced pharmaceutical technology. She has a wide variety of technical experience within the pharmaceutical industry that includes bio-pharmaceutical research and development involving pharmacokinetic drug preformulation of proprietary compounds. Her pharmaceutical technical support experience involved technical analysis of numerous pharmaceutical products, devising project protocols and lab scale formulations of various drug products and excipients including product validation, stability and sterility studies. As a member of the Montgomery Bar Association Diversity Committee, Marilou created a “Day in Court” program at the Montgomery County Courthouse, which received a County Bar Recognition Award from the Pennsylvania Bar Association for its impact on the future of the legal profession. She also has been an annual guest lecturer for 10 years at the Temple University Beasley School of Law on the topic "The Application of Intellectual Property Practice to Product Liability Cases." Marilou was appointed a member of the Governor's commission by Ed Rendell and was recently re-appointed by Governor Tom Wolf. Contact [email protected]foxrothschild.com for more information or to seek permission to reproduce content.